Today we look at a new pack from Zenhiser. 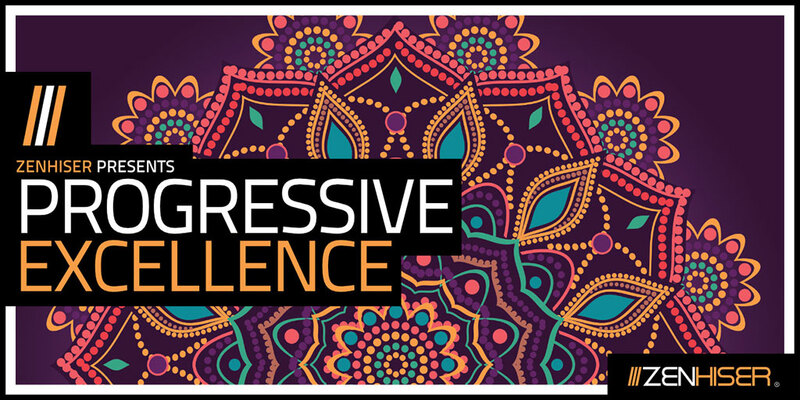 Progressive Excellence is a collection of beautiful progressive and modern house samples and loops. First thing we notice as usual the layout of the pack is spot on, not only clearly labeled folders but clear markings on the file names with regards to key and BPM info…we love that! How about the sound of the samples though? I know we say this with most our reviews of Zenhiser packs but the sound quality and inspirational quality of the loops here are just out of this world. When we first heard the demo of this pack we knew it would be a killer and wanted to take a look into what was included in detail and it didn’t disappoint. Most of the loops here are around the 126BPM mark. They are split up into Bass lines, Drum Beats, Full Mix Loops, FX and Synth Lines. Although the drums and FX are great what stood out for us most here was the synth and bass lines. Seriously some of the most inspiring, melodic melodies we have heard in any sample pack for a long time, just beautiful. Listening thorough the loops just gave us inspiration for a track idea which is exactly what this back is about. We dropped some of the elements into a Logic Pro X project and they sit beautifully as well not overly compressed or eq’ed so very useable for your projects. If we had one thing we had to have a pick at about this pack (which isn’t really a negative) it would be that these melodies were so great we would have loved some MIDI files to accompany them, so they could be used and re-arranged, however we understand that it was not really the aim of this pack. For what it is though this is another bomb of a pack from Zenhiser and they continue to deliver ground breaking samples that are head and shoulders above a lot of the competition. If you're looking for some progressive inspiration this pack is outstanding. Possibly some of the most original, beautiful melodies we have heard in any sample pack. GET IT!